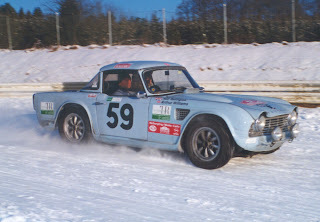 Revington TR - Triumph TR Specialists: Don't be Scared by the Winter, Embrace it! Here at Revington TR we believe TRs should be used all year round but most owners are discouraged with the slightest hint of inclement weather. Worrying that bodywork will be damaged from the wet or heater systems can't cope with the cold, or simply not being able to see where you’re going. Thankfully Revington TR are here to help with upgrades such as underwing shields and wax oiling protecting your bodywork. High performance heater systems keeping you warm in the winter months and in combination with Upgraded wiper systems keeping your view of the road clear. So why not treat your car to an upgrade and enjoy TR Motoring all year round! Original standard TR Wiper Systems are notoriously poor. Revington TR can provide complete solutions to overhaul and improve Wiper efficiency. 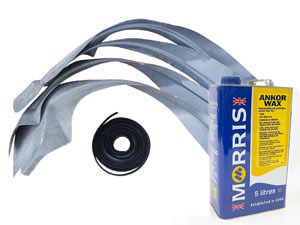 Including: Heavy Duty Wiper Upgrade kits to replace the substandard originals. High Performance Silicone Wiper Blade Inserts, which are the best blades we have ever used! 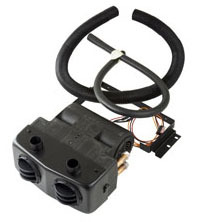 Hella Intermittent Wiper Kits, with variable dwell from 2 to 20 sweeps/minute. Protect your bodywork from corrosion with these easy to fit underwing shields. Unlike modern cars the inside of TR wheel arches are open to the elements, water and mud can get stuck in these recesses causing corrosion. Prevent expensive repairs by fitting these liners. Summer Motoring all year round!